This entry was tagged Autumn, photographs, Photography, Red Leaves, Silver Tabby Cat. Bookmark the permalink. What a gorgeous cat. 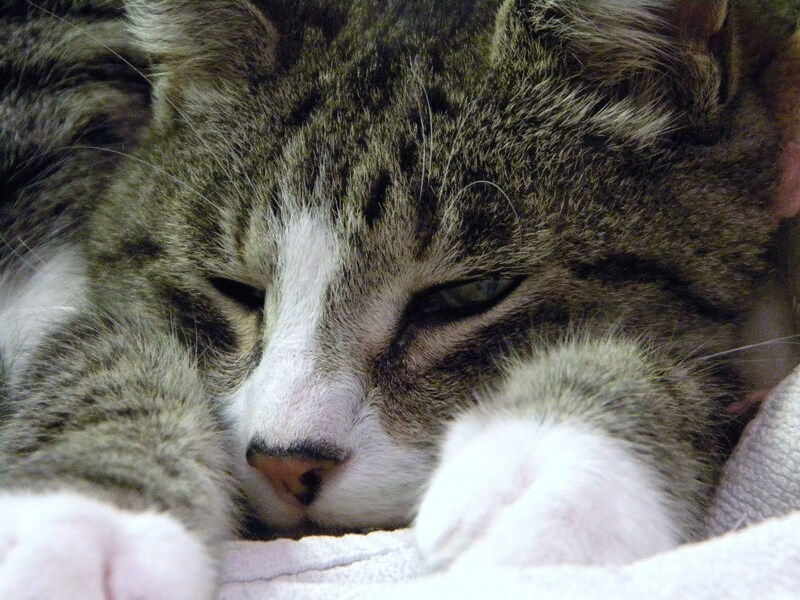 I’ve always hankered after a tabby – especially a beautiful silver one – but my husband is not a cat person, sadly. We have two smelly but loving wee dogs to keep us company instead. Your very pretty cat looks just like the one my grandmother had. The leaves are lovely too. 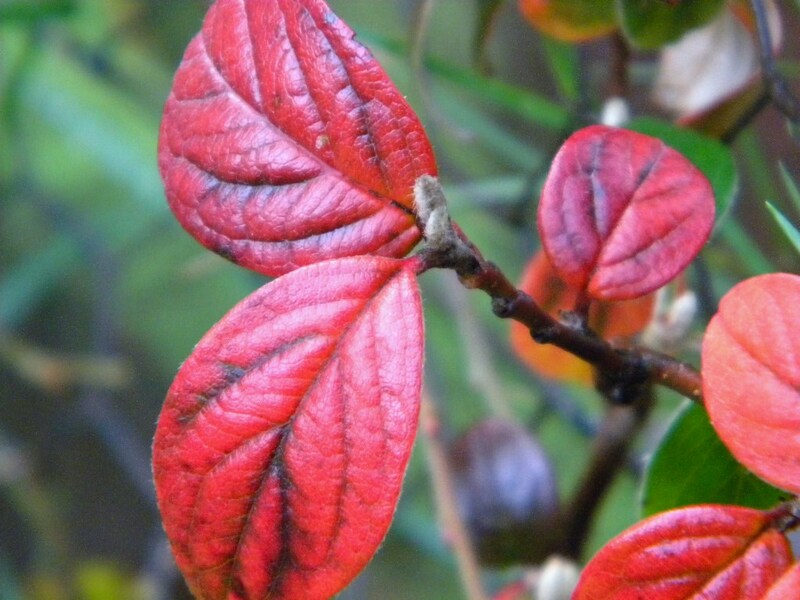 Cotoneaster?